Understanding the risk, whether for new or existing third party products or services, often starts with a questionnaire. Creating a questionnaire in and of itself can be quite a large task. 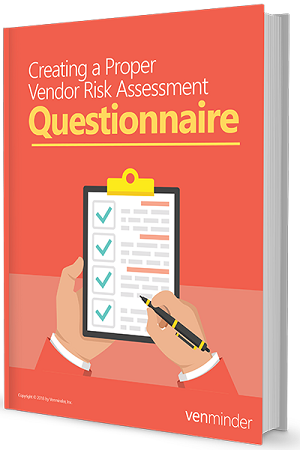 Download our latest eBook to learn our recommended steps for how to create a vendor risk assessment questionnaire.